The building regulations of Australia governing the design of structures against fire are being changed. A separation is being made between the aspects of life safety and property protection. As a consequence, traditional requirements for high values of passive fire resistance are being reduced. One of the areas where these changes will have the greatest impact is in parking stations and parking garages under residential developments. Blade columns are widely used in these applications but there is little information available to enable a rational design to be carried out. 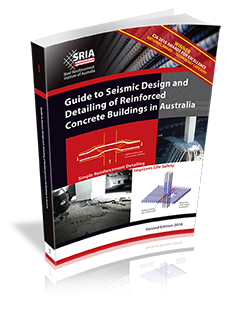 Further, there are anomalies between the fire design for concrete blade columns and masonry columns set out in the respective Australian standards. A research program, based on the use of a computer simulation model developed by the National Research Council of Canada, correlated against previous fire tests, and modified to evaluate the fire resistance of blade columns, has been completed by the Building Research Association of New Zealand. A range of geometric cross-sections, material properties, and reinforcement areas were tested. Currently the fire resistance of a reinforced concrete column is determined using AS 3600, in which fire resistance is given as a function of cover to reinforcement and the least dimension of the column. No account is taken of the other column design parameters including the concrete strength, the effective length of the column, the design axial load or the aspect ratio of the column - all of which have an effect on the behaviour of the column when exposed to fire. Blade and other rectangular columns have an improved fire resistance to a square column of the same least dimension. The computer model calculated the thermal and structural response of reinforced concrete columns under simulated fire conditions. A brief illustration of the benefit obtained from using the computer model and design equations over AS3600's fire resistance levels is shown in the accompanying table. The comparisons are based on a 28-day characteristic compressive strength of 35 MPa, concrete cover of 35mm, a slenderness ratio of 25, design load of 0.5Nuo and a steel ratio of 2.5%. It can be seen from these examples that significant advantages in assessed fire resistance can be obtained. An equation based on multiple linear regression analysis has been developed for the fire resistance of normal-weight siliceous aggregate columns intended for future use in AS3600 which will take the improved performance into account. It will also account for variations in the concrete compressive strength, the factored (fire) design axial load, the effective length or slenderness ration of the column, cover to steel, amount of cross-sectional steel, and least column dimension, for both square and rectangular columns. This will allow more accurate and less conservative predictions of fire resistance to be made compared with existing AS 3600 requirements. The paper provides full details of the testing programs, which included 792 computer simulations. A full copy can be obtained by contacting the SRIA or by downloading it from this site. In Australia, the safe evacuation of a building's occupants is paramount. In modern building regulations both in Australia and the UK, the financial implications of a fire are often ignored. Many major UK companies (usually prompted by their insurers) are now calling for better fire protection for their buildings - to standards well beyond the levels called for in the current building regulations. As is the case in the USA, the UK is increasingly coming around to the belief that the current regulatory emphasis on safe evacuation of occupants alone is insufficient. They are demanding that structural integrity and the long-term business implications of property damage should be adequately addressed in new designs. The Loss Prevention Centre, an organisation with links to the UK insurance industry, is calling for building structures to be resistant to fire for longer periods to decrease the major financial impact of business interruption on local and national economies. The Centre have published new guidelines for building fire protection which call for both active protection -i.e. sprinklers to control the spread of fire, and passive protection -i.e. realistic fire-resistance periods, which allow for the vagaries of material performance in actual fire conditions. Unlike other structural materials, reinforced concrete solutions genuinely offer up to four hours fire resistance without the need for extra fire-protective coatings. Fire tests on a full-sized structural steel building at the Building Research Establishment's testing facility at Cardington have suggested that unprotected structural steel is best suited to secondary rather than primary structural elements. Furthermore, research undertaken at Warrington Fire Research has shown that applied fire protection systems that offer adequate performance when tested in the laboratory, are found to perform substantially below this level under actual service conditions. Reinforced concrete solutions offer "built-in" passive fire protection and easier and cheaper post-fire reinstatement. This is just one reason why reinforced concrete construction is being increasingly specified in commercial and industrial developments in place of non-concrete systems.